I love Home Goods, it’s a gigantic store full of my favorite things that are usually relegated to four tiny aisles that you have to fight your way through at T.J. Maxx. Right before our move back to the city I was browsing around the store and I found these adorable pink canisters along with a Nigella Lawson cookbook. 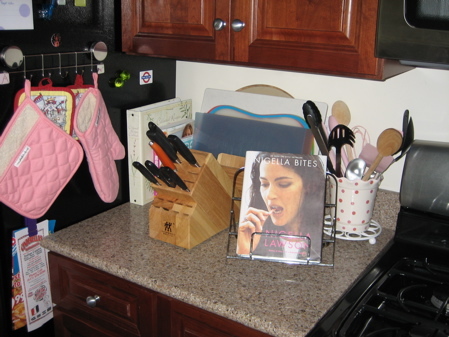 While flipping through Nigella Bites I realized just how much I adore her. 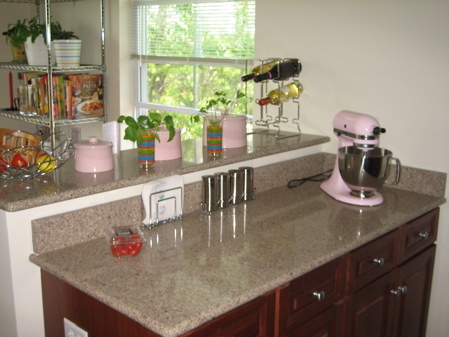 She’s so incredibly full of life and sparkle and her recipes are homey and comforting. I’ve also been extremely intrigued by many of the Indian dishes that I’ve either read about or watched her cook on television so I finally decided to give one a try. The first item on the agenda was to find paneer for the Muttar Paneer. Thankfully I live practically right on top of Whole Foods now so my quest for this decidedly non American ingredient was a snap. 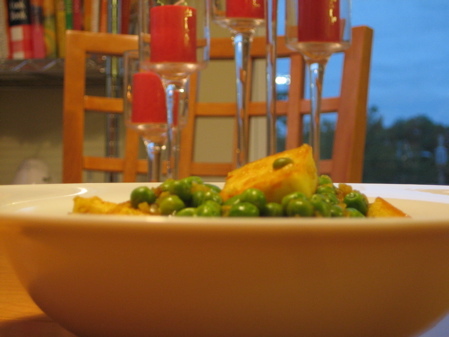 Back in the kitchen I had a pretty harrowing time frying the paneer. Unless you have a splatter guard I wouldn’t recommend using the amount of vegetable oil called for in the recipe. I’d either use a much smaller amount or “dry fry” it. My difficulties may also have arisen from the fact that this is the first time in several years that I’ve cooked with gas heat. I love how hot it is, but my timing is completely off now. Silly electric ovens. After cooking the paneer the rest of the steps are very simple and I really enjoyed the earthy spicy flavor of the end product. 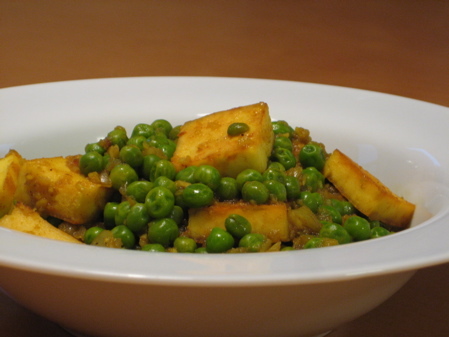 Peas may be the main ingredient in this dish, but don’t be fooled as Muttar Paneer is extremely filling and can definitely be eaten as a stand alone meal. Plus it even holds up well when reheated. 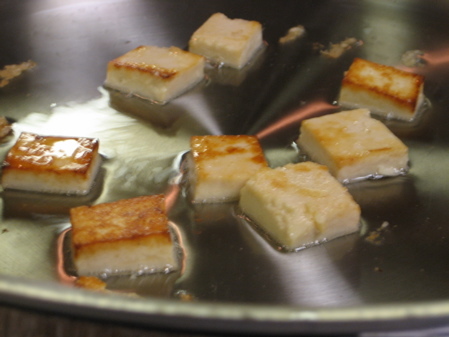 Heat the oil a large skillet and add the paneer cubes, in 2 batches, and fry until they are golden. Remove the golden cubes to a double thickness of kitchen towel. 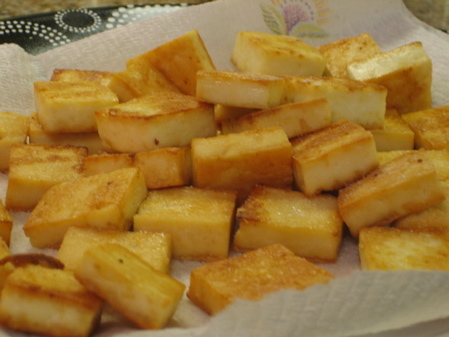 (It is possible to dry fry the paneer cubes in the pan with no oil, to avoid the oil splashing you. 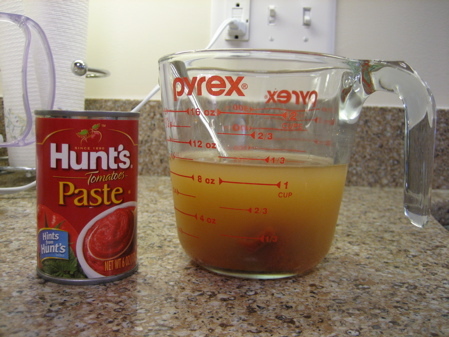 Then continue with the recipe below. 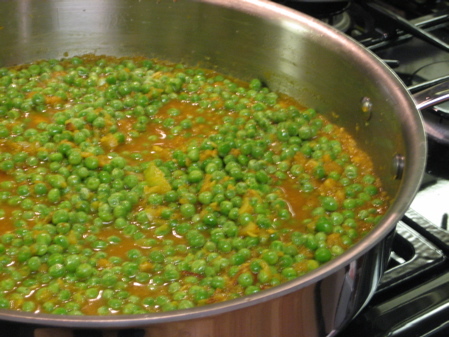 )Pour all but about 2 tablespoons of the oil out of the pan. 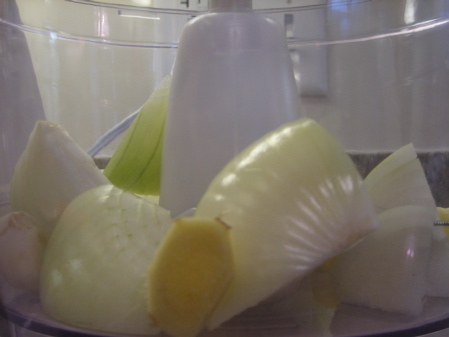 Put the onion, garlic cloves, and ginger into a food processor and blitz to a coarse pulp. 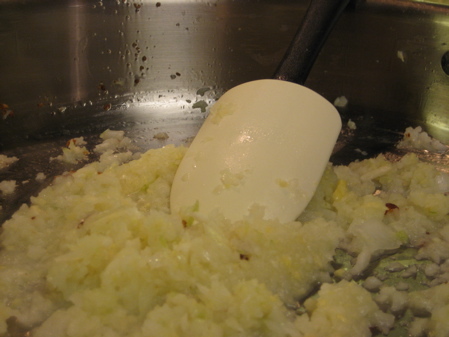 Fry gently for about 5 minutes with a sprinkling of salt. 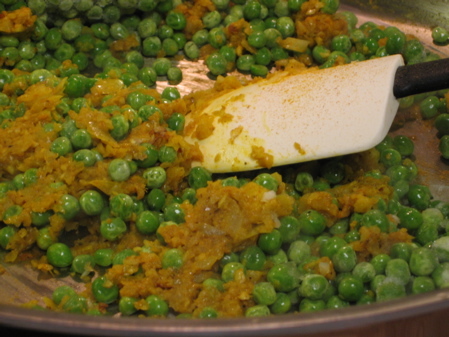 Stir in the garam masala and turmeric and cook for another 2 minutes before adding the still frozen peas. ZOMG! 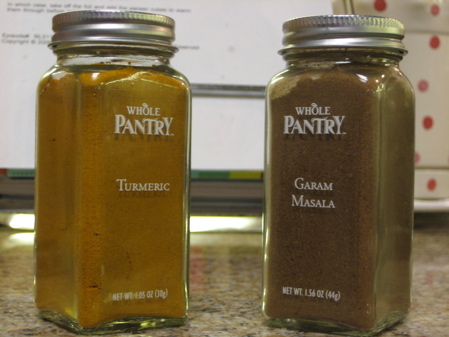 I love curried anything + paneer. It’s not hard to make yourself, you know. We almost always sub tofu in ours though, since Aaron is on a low-fat kick and it’s our main source of protein at our house anyway.